Friendly Hotel Manager made experience great Overall it was a great experience. Hotel Manager provided late checkout and the kids activity bags were a great touch. 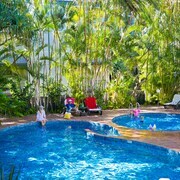 Situated on a river, this luxury lodge is within 1 mi (2 km) of Little Cove, Noosa Beach, and Noosa National Park. Hastings Street is 1 mi (1.7 km) away. 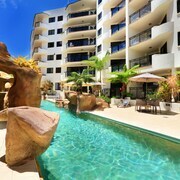 We loved out stay at Macquarie Lodge apartments. Absolutely nothing to complain about. Fantastic facilities, everything you need, very clean. Will definitely be back next time. Week of relaxing Fabulous location, no hesitation to recommend to others to stay with you. My wife n I had a great stay. 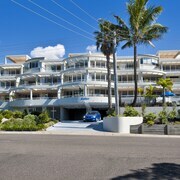 Situated near the beach, this apartment building is within a 10-minute walk of Hastings Street and Noosa Beach. Noosa National Park is 1 mi (1.6 km) away. 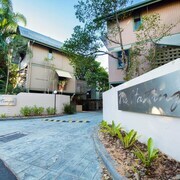 Situated by the ocean, this apartment building is within a 5-minute walk of Hastings Street and Noosa Beach. Noosa National Park is 1.1 mi (1.8 km) away. Stone’s throw to all thing’s Hastings Street! 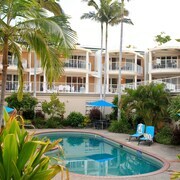 Clean, comfortable and very convenient to Beach, Hastings Street Restaurants and Cafes. Great friendly staff. Rustic units are clean and have everything you need to have a self contained holiday. The units have stair access. Very nice and would stay again. It’s that time of year again. You’re spending at least three hours a day fantasizing about your next holiday, and you’re fully checked out at work. 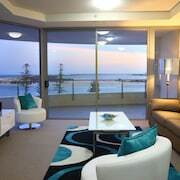 Every day, you’re absently ticking tasks off your list as you imagine yourself draped on a chaise lounge in a posh serviced apartment, prepping for an adventure in Sunshine Coast. 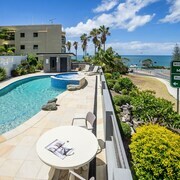 Imagine mornings spent sleeping in as long as you want, and afternoons and evenings spent out and about in Sunshine Coast. You’re ready for a break—and do we really need to trot out all the research about how travel makes you happier, saner, and (fine, this part’s for your boss) more productive? Sure, your bank account is urging you to do the responsible thing and stay home. After all, from the fancy flats to the boozy bevvys, you’re bound to emerge flat broke, right? Wrong! 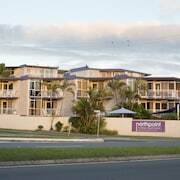 You can find all sorts of cheap short-stay apartments in Sunshine Coast so you’ll have plenty of leftover cash. 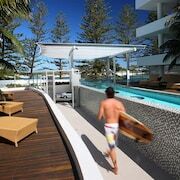 Exciting days are waiting in Sunshine Coast. Snag one of our ridiculously good-looking deals today and get a move on!